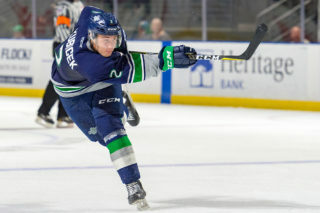 KENT, January 19, 2019 — Matthew Wedman had a hat trick Saturday night at accesso ShoWare Center to lead the Seattle Thunderbirds to a 6-4 win over the Victoria Royals on Fred Meyer Teddy Bear Toss Night presented by WARM 106.9 FM. Seattle (16-21-4-1) took a 1-0 lead at 15:07 of the first period on a goal by Noah Philp. Henrik Rybinksi forechecked the puck behind the Royals net. The puck popped out to the high slot to Philp coming into the zone. Philp beat Victoria goalie Brock Gould over the blocker for his 17th goal of the season. Brecon Wood had the second assist on the goal. Some of the 6,021 teddy bears and stuffed animals on the ice after Noah Philp scored. After Philp’s goal the 6,211 fans at accesso ShoWare Center threw 6,021 teddy bears and other stuffed animals on the ice. The bears and stuffed animals were collected by the WARM 106.9 FM Teddy Bear Patrol and are given to First Responders to give to children in times of crisis. Seattle goalie Cole Schwebius had 18 saves on 22 shots to improve his record to 3-5-1-0 and get his first win on home ice. Sean Richards and Nolan Volcan each had a goal and an assist and Rybinski had two assists. 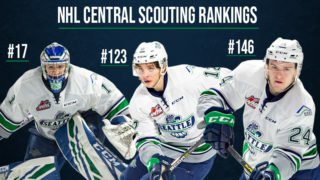 The T-Birds next game is Tuesday against the Spokane Chiefs at 7:05pm at accesso ShoWare Center. It’s a 2-for-Tuesday game with 2-for-1 specials on tickets and beer and $2 hot dogs, popcorn and soda. Richards made it a 2-0 T-Birds lead at 17:28 of first period. Richards got to a loose puck in the neutral zone and skated up the left wing on a two-on-one break with Philp. Richards skated into the left circle and beat Gould with a wrist shot over the left shoulder. Seattle outshot Victoria 14-2 in the first period. Victoria (22-19-1-0) cut the T-Birds lead to one goal at 18:48 of the second on a power-play goal by D-Jay Jerome. Tarun Fizer and Brandon Cutler had the assists. The T-Birds had a 26-13 advantage in shots after two periods by outshooting the Royals 12-11 in the second period. The Royals tied the game 2-2 47 seconds into the third period on a power-play goal from Kaid Oliver. Igor Martynov and Scott Walford had the assists. Martynov scored at 2:29 of the third off assists from Mitchell Prowse and Cutler to put the Royals in front 3-2. Matthew Wedman celebrates his first of three goals Saturday night against Victoria. Matthew Wedman responded 43 seconds later to tie the game 3-3. Nolan Volcan sent the puck behind the Victoria net where Keltie Jeri-Leon got to it. Jeri-Leon passed the puck to Wedman in the left circle. Wedman spun with the puck and beat Gould low on the stick side for the tying goal. Victoria took the lead 4-3 at 7:25 of the third on a goal from Prowse. Kody McDonald and Ralph Jarratt had the assists. Wedman tied the game a second time at 10:52 of the third. Wedman took a pass in the left circle from Andrej Kukuca and took a shot. Gould sprawled to make the save and play continued. After 1:01 of play the video goal judge buzzed the horn to let the officials know he was reviewing the play. After consultation with the referees the video goal judge determined Gould kicked the puck out the net just after it crossed the line. Jarret Tyszka had the second assist. Nolan Volcan skating up the at accesso ShoWare Center. Volcan put the T-Birds back in front, 5-4, at 12:02 of the third with a shorthanded goal. Volcan came down the left wing, cut to the high slot with Wedman charging the net and took a wrist shot. Volcan beat Gould over the glove for his 17th goal of the season. Tyrel Bauer and Owen Williams had the assists. Victoria pulled Gould for an extra attacker with 1:37 left in the third period. Wedman quickly took advantage of the empty net and iced the game for the T-Birds six seconds after Gould was pulled. Rybinski and Richards had the assists. Both teams had nine shots on goal in the third period and the T-Birds finished the game with a 35-22 advantage in shots. Gould made 29 saves on 34 shots and his record is now 5-6-0-0. First period – 1, Seattle, Philp 17 (Rybinski, Wood), 15:07. 2, Seattle, Richards 14, 17:28. Penalties – Murray, Vic (double minor-slew footing), 4:02. Walford, Vic (cross checking), 7:35. Mount, Sea (hooking), 12:16. Second period – 3, Victoria, Jerome 17 (Fizer, Cutler), 18:48 (pp). Penalties – Sidaway, Vic (charging), 2:54. Jarratt, Vic (roughing), 2:54. Richards, Sea (roughing), 2:54. Tyszka, Sea (roughing), 16:45. Kubicek, Sea (roughing), 17:57. Oliver, Vic (roughing), 17:57. Ashton, Sea (slashing), 19:04. Third period – 4, Victoria, Oliver 19 (Martynov, Walford), :47 (pp). 5, Victoria, Martynov 5 (Prowse, Oliver), 2:29 (pp). 6, Seattle, Wedman 15 (Jeri-Leon, Volcan), 3:12. 7, Victoria, Prowse 2 (McDonald, Jarratt), 7:25. 8, Seattle, Wedman 16 (Kukuca, Tyszka), 10:52. 9, Seattle, Volcan 17 (Bauer, Williams), 12:02 (sh). 10, Seattle, Wedman 17 (Rybinski, Richards), 18:29 (en). Penalties – Wood, Sea (unsportsmanlike conduct), 6:52. Walford, Vic (unsportsmanlike conduct), 6:52. Cutler, Vic (roughing), 9:41. Lee, Sea (cross checking), 11:40. Bauer, Sea (boarding), 16:14. Oliver, Vic (slashing), 16:20. Volcan, Sea (roughing), 16:20. Richards, Sea (roughing, 10-minute misconduct), 19:14. Kaluski, Sea (10-minute misconduct), 20:00. 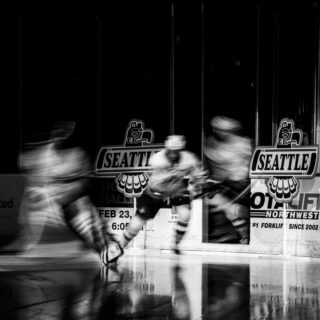 Shots on goal – Seattle 14-12-9 35, Victoria 2-11-9 22. 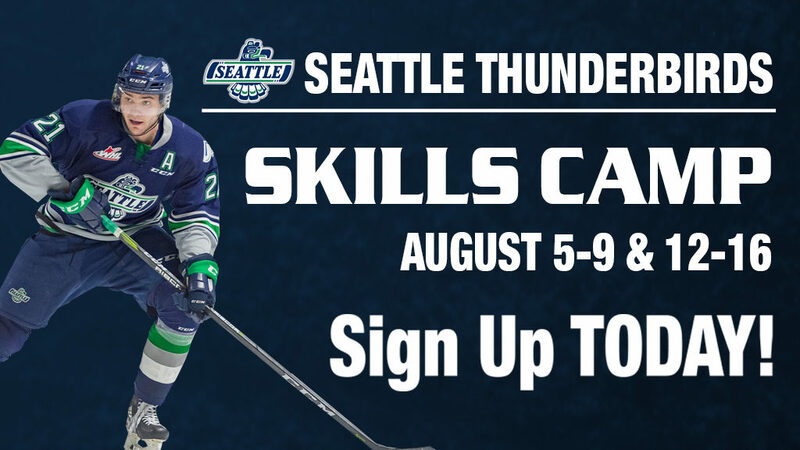 Goalies – Seattle, Schwebius 22 shots-18 saves (3-5-1-0); Victoria, Gould 34-29 (5-6-0-0). 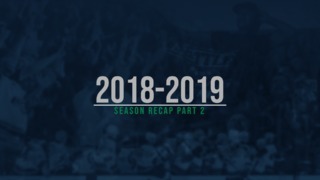 Power plays – Seattle 0-6; Victoria 1-6. A – 6,211. Referees – Ian Jendro, Steve Papp. Linesmen – Ron Dietterle, Spencer Lockert.